This was the last thing I wrote for BIKE Magazine during my short spell working there. It happens to be my favorite thing I wrote while at BIKE. I wonder why that was? Maybe I knew what was coming and I was relaxed enough to write as I wanted. Or perhaps it’s because the Bike Co. Pemberton is something I knew and felt strongly about. Either way, what’s done is done. This article also appears on the BIKE Mag website, HERE. In springtime the snow-choked chutes of Mount Currie’s north face look like three overflowing martini glasses of ice-cold smoke. This is the view you get from the backdoor of the Bike Co. bike shop in Pemberton. 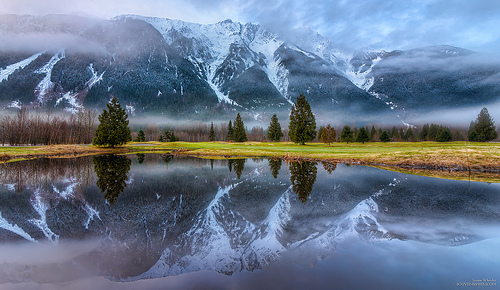 Once the nip of winter has thawed, the workshop door is usually swung wide open so that whoever is manning the workbench can take in Mount Currie’s majesty as they true, tune, bleed and fettle with ailing bicycles. No doubt crowding the view will also be a few riders gathering news of trail conditions or chewing the fat after a good ride. A lot of people go straight to Bike Co.’s backdoor, it’s where all the action takes place. Pemberton is the first real town north of Canada’s wonderland, Whistler. The town sits in a fertile valley pressed between mountains that stand like granite sentinels, and its location places it in the rain shadow of the winter storms that brings triple digit annual snowfall to the region, meaning nearly year-round riding in Spud Valley. 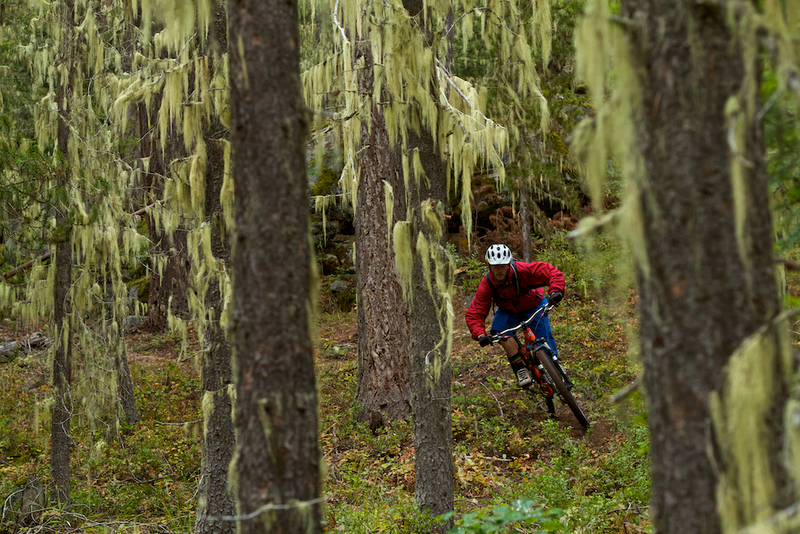 For the shop some of the busiest times are in the spring when Pemberton’s trails are open long before Whistler’s snow-clogged singletrack and the snow bunnies crawl out of hibernation. 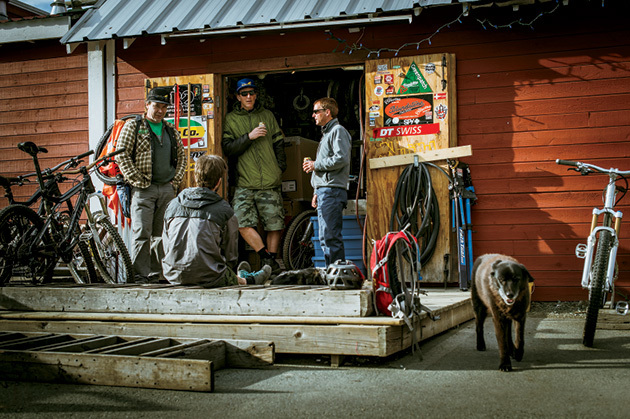 The shop becomes the main meeting spot for people reacquainting themselves with their saddle, shaking off the ski legs and reconnecting with biker friends that they have been divorced from throughout the winter. The Bike Co. is a true bike shop in the sense that it is one part bike shop, one part drop-in clinic. The owners are still on the floor everyday and the staff are an interesting mix of characters, all with unique backstories and each one has sentenced themselves to a lifetime on bikes. There’s a laissez-faire attitude to merchandising, which is quite refreshing now that many bike shops have become stores retailing the concept of the bicycle as an accessory for IKEA living rather than strumming the melodies of the philosophical imperatives of time spent in the saddle. Among the fresh produce in the display cabinet by the counter there’s also a smattering of museum standard bicycle components. But the antiques are not what keeps the band of Bike Co. loyalists coming back, it’s the good-natured banter that is batted about around the backdoor as the cocktail glasses slowly drain themselves of snow on a warm afternoon. ← PEAK TRAVEL: When the world gets a little larger because we lived it a little smaller.